Well let’s get on to the good stuff! Whether you use it as the base of an elaborate look or on its own for a more natural approach, our mineral foundation has you covered. Part of our Savvy Minerals by Young Living™ line, this long-lasting foundation is made with high-quality, mineral-based ingredients. Its buildable formula can be used for sheer to full coverage and blends flawlessly for a natural-looking foundation that still diminishes the appearance of imperfections and blemishes. It is also an all-day foundation, so you don’t need to worry about it as you transition between your home, work, and social life. Bring out your natural beauty without compromising on quality. 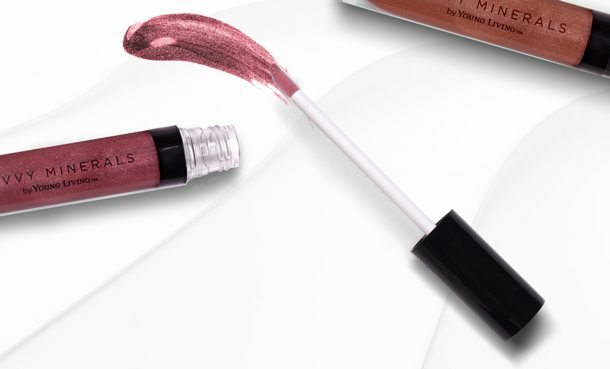 Savvy Minerals by Young Living™ Lip Gloss provides natural-looking sheer to medium color coverage while adding shine. It applies flawlessly without the sticky feeling of many lip glosses. This lip gloss moisturizes and softens lips, while making them look fuller for a high-shine pout that completes your look. This lip gloss can also be worn over Savvy Minerals by Young Living Lipstick to go from a fresh, natural day look to an evening look with a bolder color impact! Add some subtle drama or make a bold statement with Savvy Minerals Eyeshadow. 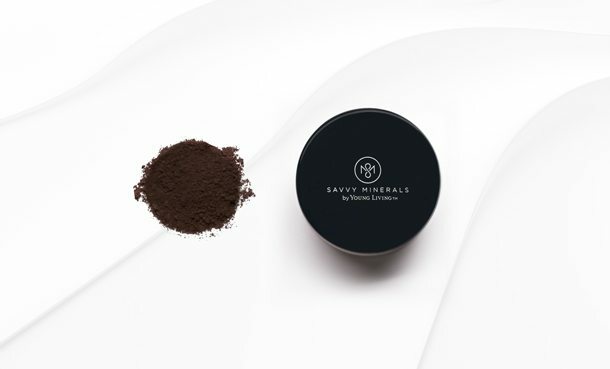 Part of Savvy Minerals by Young Living™, these eyeshadows are made from a finely ground mineral base for a long-lasting eyeshadow with a smooth, luxurious application. 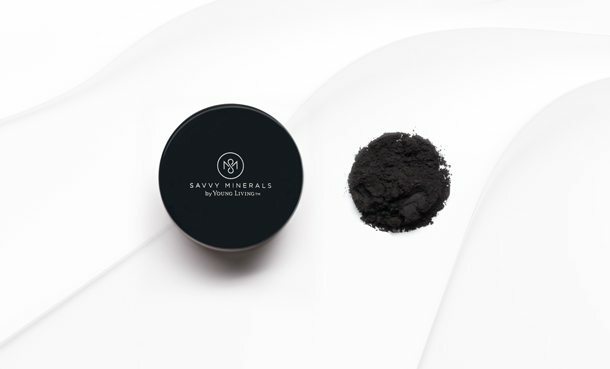 Plus, each mineral eyeshadow is made from high-quality ingredients and formulated without fillers, synthetic fragrances, or parabens, so they meet our superior standards and are gentle enough for sensitive skin. Savvy Minerals by Young Living™ Bronzer lets you put your best face forward with uncompromised confidence. Enhance your natural beauty with a healthy, sun-kissed glow any time of year with our mineral bronzer powder. 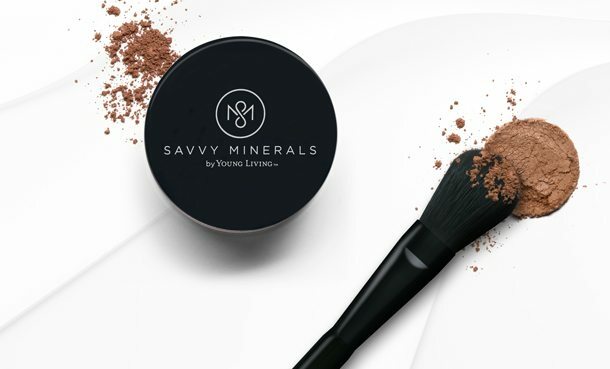 You’ll find that Savvy Minerals Bronzer is great for creating the perfect contour, with a buildable color that blends beautifully. Savvy Minerals by Young Living Bronzer is made with mineral-based ingredients and is ideal for sensitive skin. Whether you’re using it to enhance a tan or your overall radiance, you’ll be wearing your glow all day long with our long-lasting mineral bronzer. 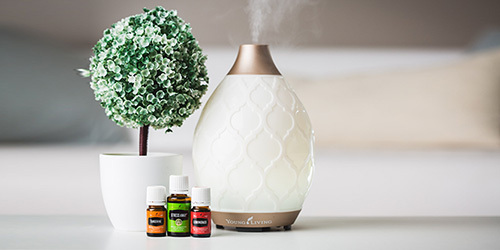 Take control of your makeup application with Savvy Minerals by Young Living™ Misting Spray. Made with pure essential oils, trace minerals, and entirely plant-based ingredients, our Misting Spray gives you more thorough foundation coverage, all while nourishing and freshening your skin. 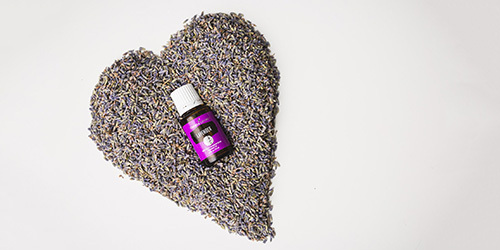 This product is also free of synthetic fragrances, colorants, alcohol, and parabens. Nothing says natural, youthful beauty like blushed cheeks. 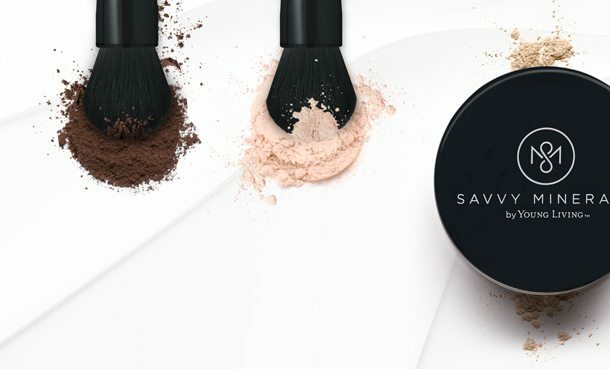 You’ll love the healthy glow that Savvy Minerals Blush provides and the way it boosts your natural radiance. 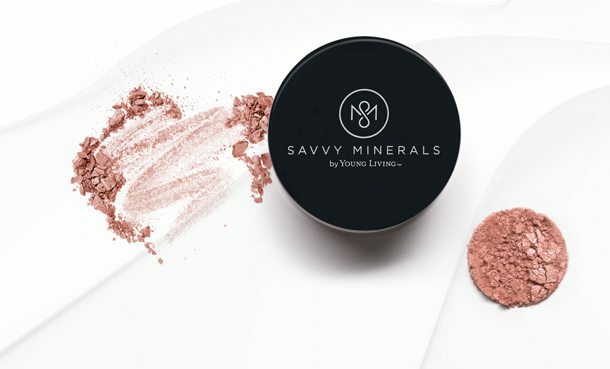 The mineral-based ingredients in Savvy Minerals by Young Living™ Blush are finely ground to provide a smooth, luxurious application. This also helps the product go on flawlessly, creating buildable color in a long-lasting blush that blends well for all-day wear. 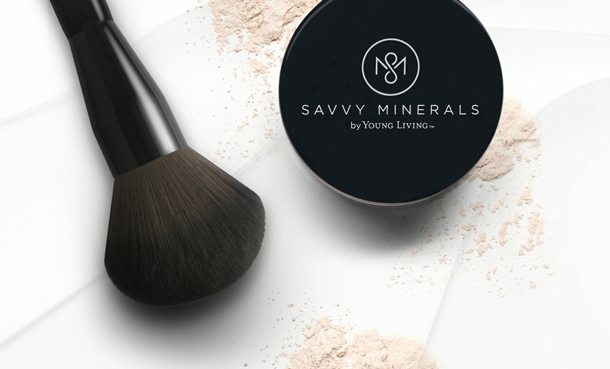 Our mineral-based Savvy Minerals by Young Living™ Multitasker has a fine texture that blends beautifully for a smooth, even, and buildable application. 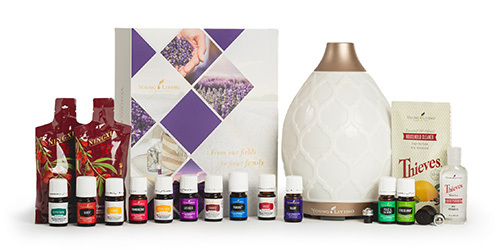 Savvy Minerals by Young Living™ Lipstick is formulated to bring out every woman’s unique and natural beauty. The lipstick glides on smoothly, with a creamy texture and medium coverage that makes application easy and forgiving. With natural-looking, beautiful shades that give your lips a pop of rich color and a fuller look, this lipstick adds just the right amount of shine, color, and pout to your lips. A sheer, mineral-based formula, Veil’s luminizing formula applies smoothly and easily, creates highlights, and blurs fine lines and pores for a glowy, airbrushed finish for all skin tones. Wear our mineral veil powder on its own for a sheer, no-makeup look or over foundation for a more polished look. This long-lasting mineral veil finishing powder absorbs excess oil to keep your foundation in place, while keeping you looking radiant. Veil is sheer coverage that does some heavy lifting. 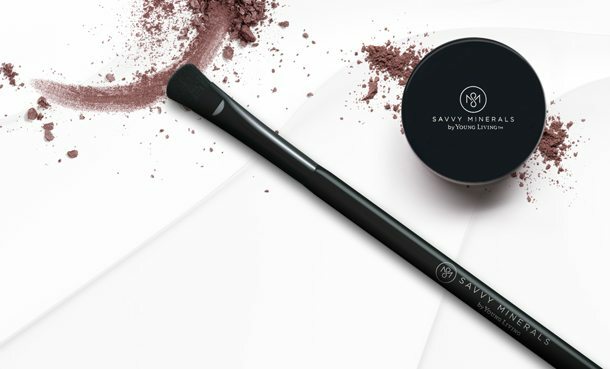 Bring out the natural beauty of your eyes with Savvy Minerals by Young Living™ Eyeliner. It’s made with mineral-based ingredients and is an ideal eyeliner for sensitive skin. This eyeliner has a long-lasting, high color payoff. Its buildable color blends well to create neutral day and dramatic night looks. Our mineral eyeliner is made of a finely ground mineral base that creates a smooth, luxurious application. The first step to flawless foundation is knowing your undertone. 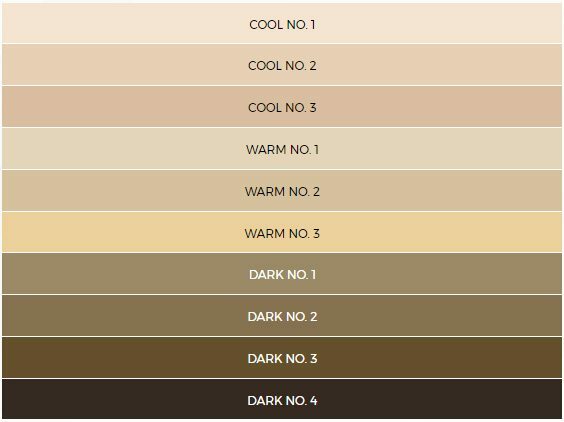 Our Warm colors look best on yellow, peach, and gold undertones; our Cool colors look great on pink or red undertones; and our Dark colors have neutral undertones. If you know you’re ready, you can click below – if you need help with instructions/ordering, just follow the images below! Not yet a member? Contact me and I’ll help you get started today!